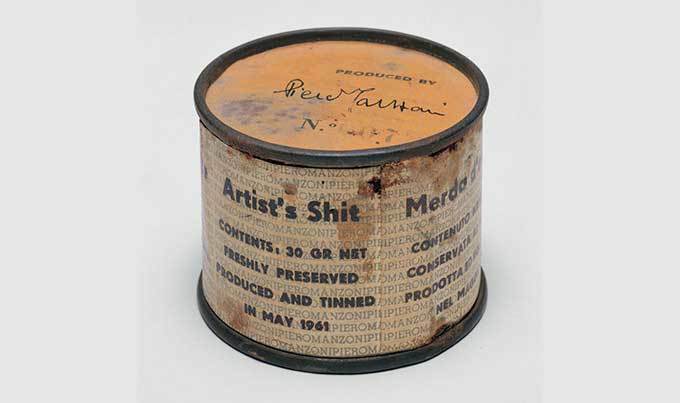 In 1961 Piero Manzoni sorted his turds into 30 gram piles and placed each serving into one of 90 cans, which he then sealed and signed. And tins of “Merda d’Artista” are changing hands for loads money. In 2007, the Tate art gallery in London, bought one of Manzoni’s 90 cans for £22,350 ($30,000), and while that may seem like a lot for what is literally just canned crap, they actually got a great deal. In 2007, another can of “Merda d’Artista” was auctioned off in Milan, for a whopping £81,000 ($108,000). Crazy, right? Not really, just another good deal, because Manzoni’s cans of poop are currently worth around $300,000 apiece. Last year, someone bought can no. 54 for £182,500 ($242,000). Sound investment or something for Paul Calf?